Back in the day, slots commonly offered only a single payline, spread horizontally across the reels which equalled only one potential winning combination per spin. However, the advance of technologies has brought about the emergence of slots with multiple paylines which significantly increases the number of winning combinations. 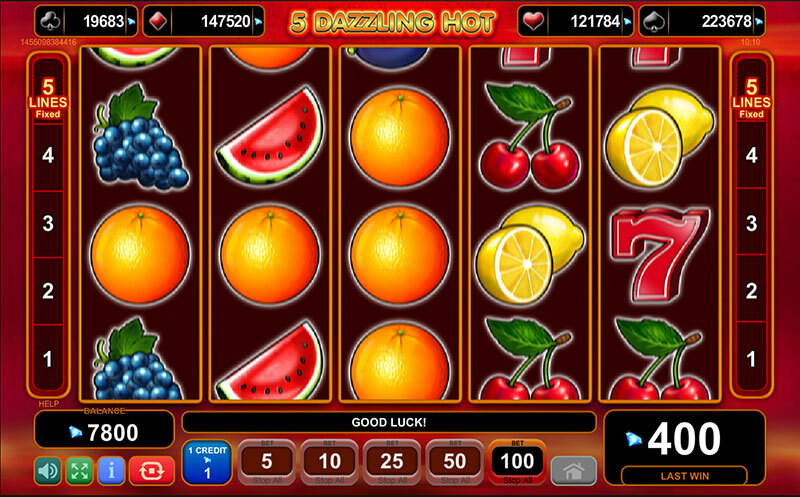 In most cases, multi-payline slots feature at least nine lines but the number can sometimes exceed one hundred. Today, paylines can be horizontal, vertical, diagonal, zigzagging or V-shaped. Selecting the number of paylines and multipliers to play is a crucial aspect of all experienced slot players’ strategy. If you are not familiar with how paylines and multipliers on slots work, we suggest you read the following article. Choosing the number of paylines to play often depends on the type of slot players have opted for. The number of active paylines on some slots is fixed meaning that the players will not be able to deactivate any of the lines. They are required to play all fixed lines on each spin of the reels, instead. The number of paylines on such slots might vary greatly and you will be able to find games with smaller or larger number of fixed paylines. The only thing players can adjust on such slots is the coin value and the number of coins they wish to bet per line. Then again, if you opt for playing a slot with a progressive jackpot, you will be required to place the maximum bet amount and activate all paylines, at least if you want to qualify for the life-changing prize. If you deactivate some of the lines and succeed in hitting the winning combination for the huge prize, you will not be eligible for the progressive jackpot. Your payout will be smaller, instead. 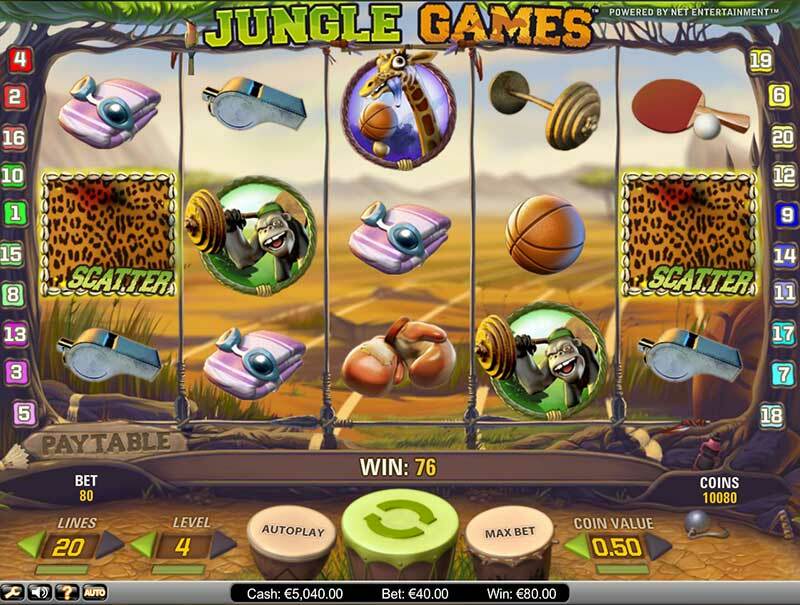 On some video slots, players are allowed to adjust the number of active paylines they wish to play. The first thing you need to do is select your coin value and how many coins to bet on each of the active lines. So if you choose a coin value of £0.02 and bet two coins on a slot with twenty active paylines, you will wager a total of £0.40 per spin. Please note that you can win only on the paylines you have activated. If winning combinations occur on deactivated lines, you will fail to collect the prize. 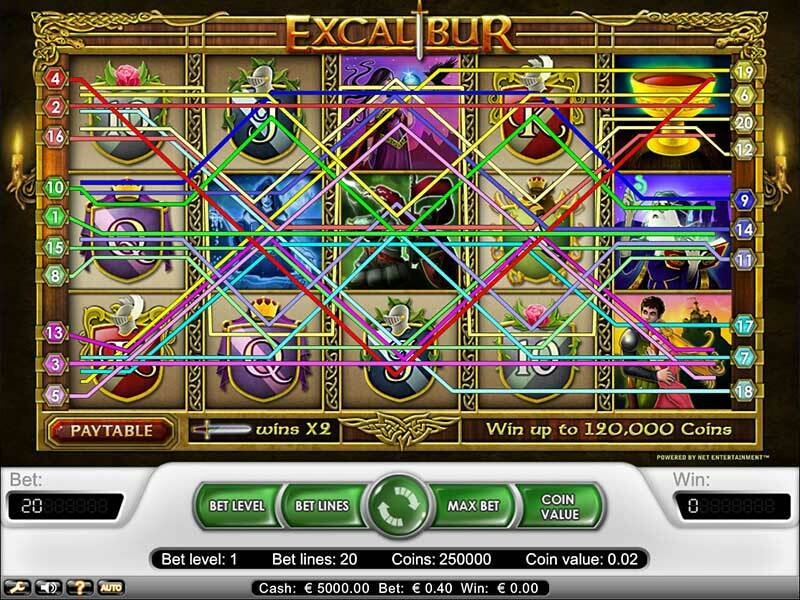 NetEnt’s Excalibur slot with 20 paylines and coin value of £0,02. Each spin of the reel will cost the Player the sum of £0,40. 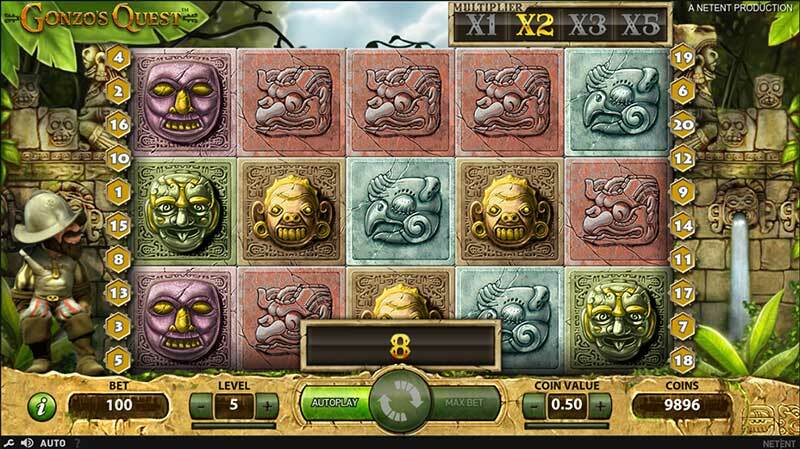 Some players prefer to activate only some of the paylines and bet two or three coins at a time. 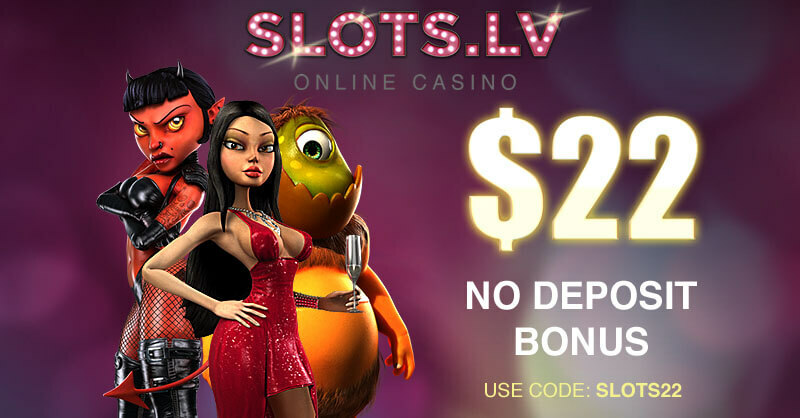 This is usually a suitable course of action for those, who do not play progressive slots and thus, are not required to place the maximum bets on all paylines. 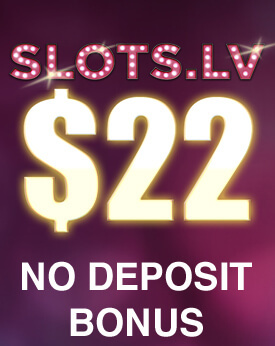 This betting pattern is also recommended if the bonus symbols on the slots are not required to land on active paylines in order to unlock bonus rounds or other special features. This approach enables players to keep their bankrolls in check. What is more, the number of paylines players choose to activate does not affect the payback percentage of the game. The payback percentage typically remains the same regardless of whether you play on ten or twenty paylines. The outcome of each spin of the reels is governed by a Random Number Generator, which does not cause winning combinations to occur more often on one line than on twenty lines. If the bonus symbols are required to land on an active payline in order to trigger the bonus features, then it would be a good idea to activate as many lines as you possibly can afford. After all, bonus features are responsible for about one-third of the paybacks on most multi-line slots. Because of this, it would be a good idea to play all available lines, even with one coin per line as this would enable you to take advantage of bonus rounds and other lucrative features. Another option is to activate all available paylines and play two or more coins of lower value per line within the reasonable financial limit you have set for yourself. Playing on all paylines might increase your chances of hitting one or more winning combinations. This may also save you the frustration if you hit a winning combination on a payline you have deactivated. However, many slot players consider this approach unsuitable because it might cause them to lose money at a rapid pace. Multipliers are another common feature advanced video slots share. As the name itself suggests, this feature multiplies players’ winnings a given number of times. Typically, multipliers are easy to recognise as they are represented by a number with an “x” next to them, which stands for the size of the multiplier. Most advanced slots have a Level which players can adjust. When you choose a coin value of £0.05, for instance, and adjust the Level to 2 on a slot with 20 paylines, this would mean you will actually bet two coins per line, which equals £1.00 per spin. Players are recommended to always adjust the number of coins per line and their coin value, depending on the size of their overall bankroll. If you play ten coins per line at the maximum coin value, you risk exhausting your bankroll quickly. Slots with multipliers during base play are not that common, but they do exist nevertheless. Such multipliers are usually attached to given winning combinations which means that whenever you land such a combination, your wins will be multiplied two, three, four or five times. For example, if you land five identical pineapple symbols which have a 5x multiplier attached to them, you will win five times the amount of your original stake. Do have in mind that multipliers on base slot games are typically smaller, because otherwise they would reduce the built-in house advantage in favour of the players. Multipliers occur more often during bonus games and free spins, in which case they have the potential to dramatically increase the winnings players have generated. Naturally, introducing multipliers during the free spins rounds further increases the entertainment value of the slots. 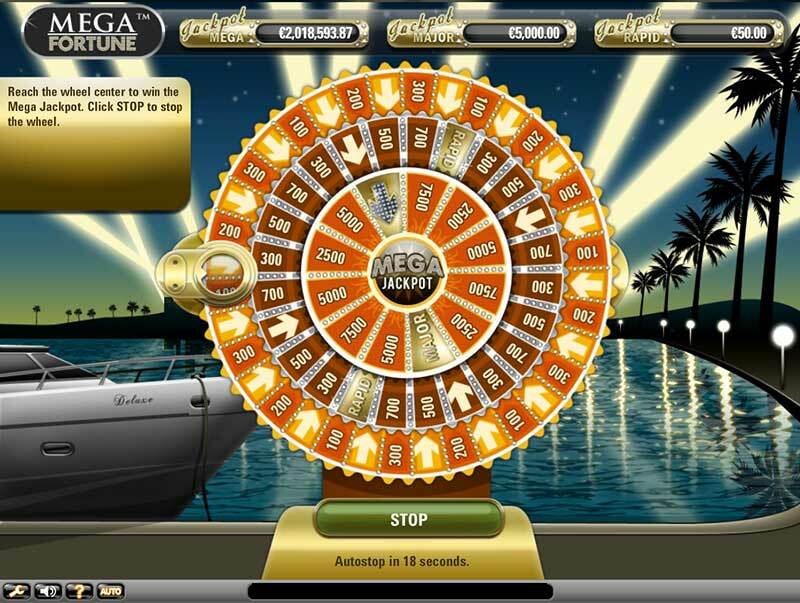 Sometimes, players are given the opportunity to choose multipliers hidden behind special symbols during a round of free spins. This creates an impression that players can control the outcome of their play. Usually, in such cases multipliers work on a sliding scale – if you are granted a greater number of free spins, your multiplier will be smaller. 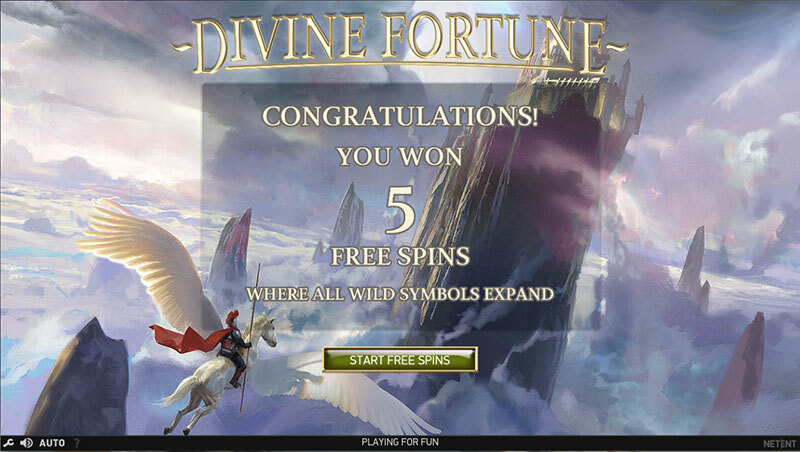 Players can often choose between 5, 10, 15, 20 or even 50 free spins. If they have 5 bonus spins, their winnings will increase with a maximum multiplier of 20x, while 20 free spins will come hand in hand with a 5x multiplier on all winning combinations. As we have already mentioned, the main function of wild symbols is to act as substitutes for other, missing symbols on the reels, allowing players to complete winning combinations. For example, if three wild symbols appear on the reels, this might enable players to hit three winning combinations. However, on some occasions, wild symbols are combined with multipliers. For instance, let us suppose you are playing a slot where pineapple symbols play the role of wild multipliers of 3x your winnings. You have two cherry symbols but you need to complete the combination with a third cherry. If you get the pineapple wild multiplier, it will not only enable you to form your winning combination but it will triple your profits. On some slot variations, scatter symbols can also assume the role of multipliers. Whenever a scatter multiplier appears on the reels and you have a winning combination, it will increase your winnings by a specific number of times. But in most cases, scatter symbols only unlock bonus games or free spins whenever they make an appearance on the screen. Some types of multipliers work in a slightly different fashion. Such multipliers can increase the payline bet or the overall bet players have placed. In such instances, it is the stake amount that is increased and not the winnings. This might sound a little confusing but it truly makes a difference, especially if you consider the fact on some occasions winnings can be lower than the original bet you have made. Multipliers that increase the overall amount of bets can prove to be very profitable as they boost players’ stakes across all active paylines. 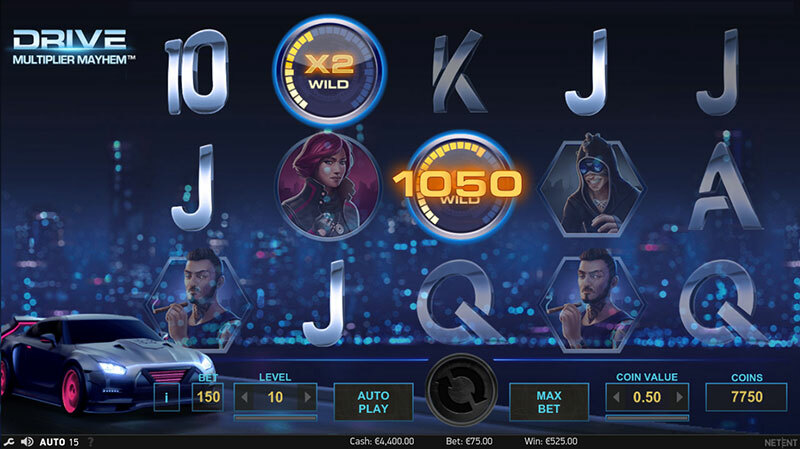 It is always a good idea to carefully read the slot’s paytable in advance as it provides useful information regarding the rules, the payouts on winning combinations and the types of multipliers used in the game.